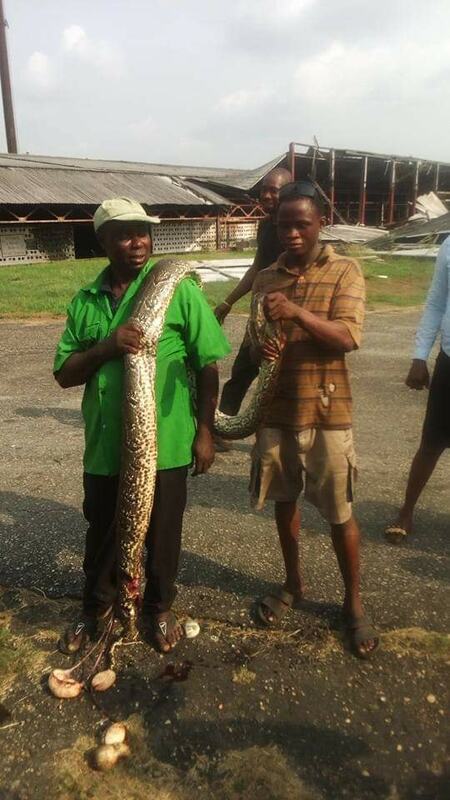 Residents of a community in Delta state have sighed with relief after they killed a huge python. 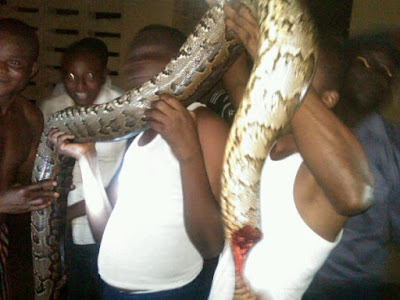 The people took it upon themselves to hunt down the huge python which is said to have been terrorizing them for quite a while. The big reptile has been a source of concern for everyone. It was gathered that the python had been a problem for the region of River Ethiope in the state for quite some years now as the snake devoured both dogs and chickens owned by residents in the area. The python was tracked down on Monday and killed to the excitement of many.